Happy Star Wars Day, errbody! 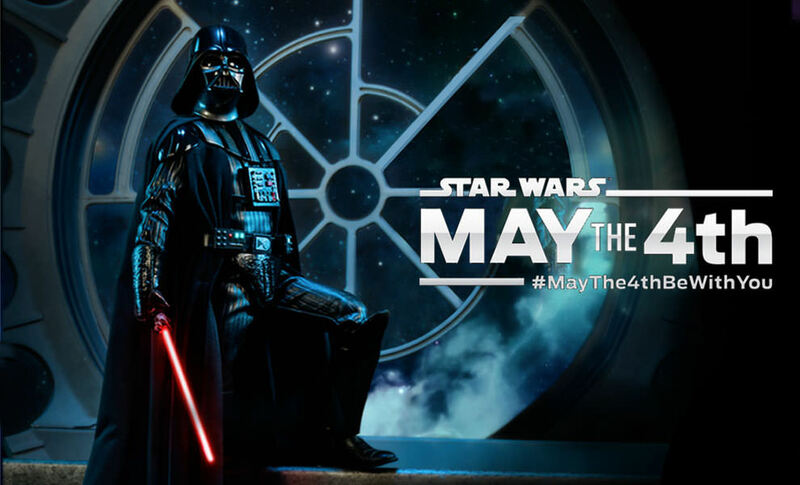 It’s May 4 once again and it’s time for us to celebrate everything Star Wars. Sadly though, it’s right smack in the middle of the workweek and, if you’re like most, however, then you’re most likely just celebrating it in the office as you work. And for some, that work day is just not even DONE! What’s a Star Wars Fan to do? Well, we dug up some simple and fun tests online which you can do just as a small way to celebrate the day. For the record, I took all of these tests myself and I’ll be showing you my actual results. Okay, let’s go! Okay. If you’re a Star Wars Fan, you know you want to have a Lightsaber. 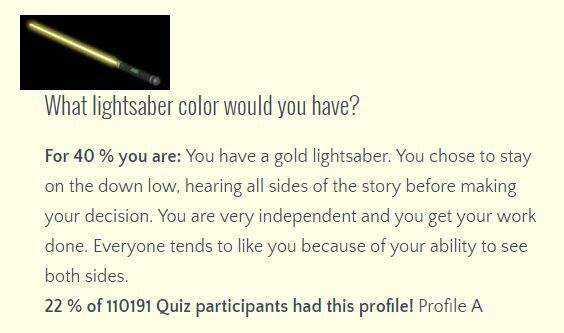 It’s one of the most awesome parts of the movies and, while you know you WANT one, have you ever thought about what color your saber will be? Well, wonder no longer! Take this test and you can find out which one suits you best!… or at least what the tests THINKS you should get. 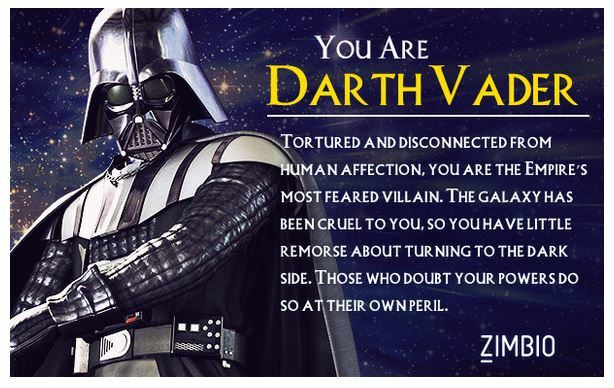 Which ‘Star Wars’ Character Are You? Each of us has our own favorite Star Wars character. Which one do you resonate the most with, though? I mean what if you were BORN INTO the Star Wars world? Who would you be? This test helps us find out! It’s time to pick a side! I mean, I’m sure there are times you wonder about this as well. Will you be one with the Jedi Order and oversee peace throughout the galaxy or will you join the Sith and take control? ( MWAHAHAHAHA… i mean whut?) 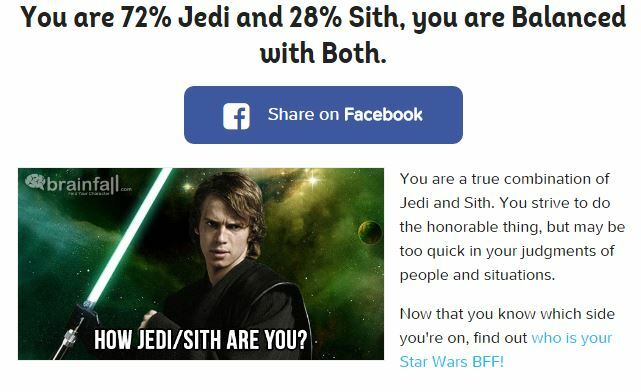 Anyway, take this test and find out where your loyalties should lie! Well anyway, like I said, its simple fun that you can do for your today. If you take the tests, why not share your results with us? We’d love to see them! If you know of more awesome quizzes, tell us about it on the comments as well. Till next time, everyone! May the Fourth be with you!